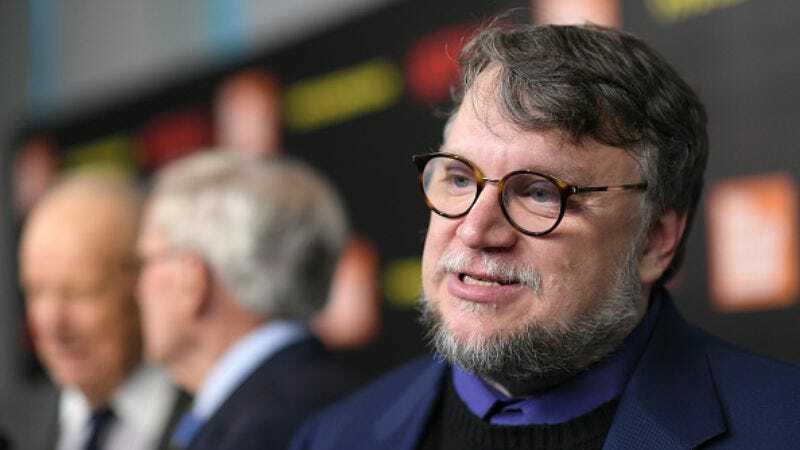 Guillermo Del Toro has had to walk away from a couple of projects in recent years, so it’s a bit of a relief to get some news on a film—with Del Toro at the helm—that will see the theater light of day. Deadline reports the filmmaker’s The Shape Of Water has just caught a December 8 release date. Starring Del Toro’s scaly stalwart Doug Jones, The Shape Of Water is described as “an otherworldly fairy tale, set against the backdrop of Cold War era America circa 1963.” Sally Hawkins costars as a lonely employee at a high-security government laboratory, who stumbles upon a “secret classified experiment” with her coworker, who will be played by Octavia Spencer. Jones will play the fish man who is being held at the facility, and with whom Hawkins’ character will fall in love. Michael Shannon was cast in the film last year, which was also around the time The A.V. Club surmised that Jones would be on hand to throw on some prosthetics and abscond with someone’s heart. The December release date, which we did not call, does place The Shape Of Water ahead of awards season.